Residents at cities across Europe are telling tourists to go home after the massive inflows of travelers are making life a burden at many destinations. Overcrowding, exorbitant prices, impact on local character and high rents or no available long-term rentals are among the issues being raised by a newly emerging form of activism. 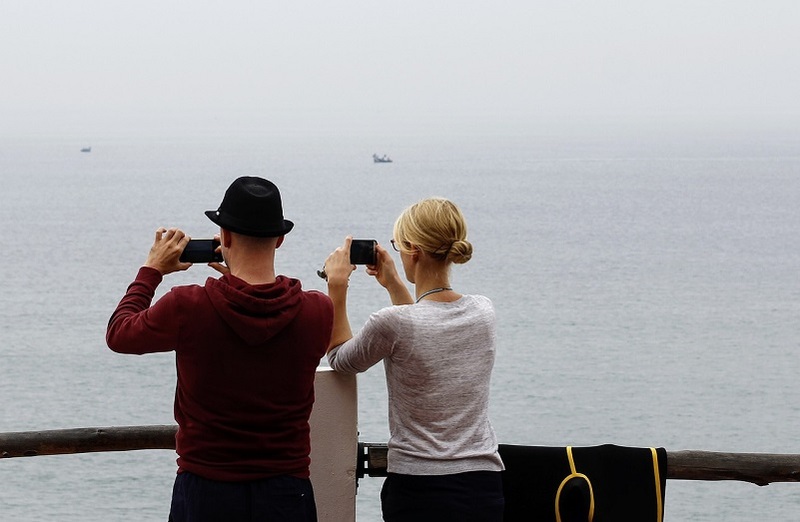 The phenomenon, coined “over-tourism”, is now according to World Travel Market experts a very serious new challenge for the sector. Popular destinations like Barcelona, Ibiza, Mallorca, Venice, Rome, Santorini, Corfu and Malia on Crete, are so inundated with visitors that locals are unable to go about their daily lives and tourism professionals are unable to offer the quality services required. Meanwhile, at the prospect of making an added 50 or 60 euros a day, property owners are preferring to lease to tourists instead of long-term tenants as more and more are joining sharing economy platforms such as Airbnb and Home Away. A case in point: the world famous 73 km2 island of Santorini, which is visited by more than 1.3 million tourists a year and is one destination in Greece facing the dire consequences of over-tourism. 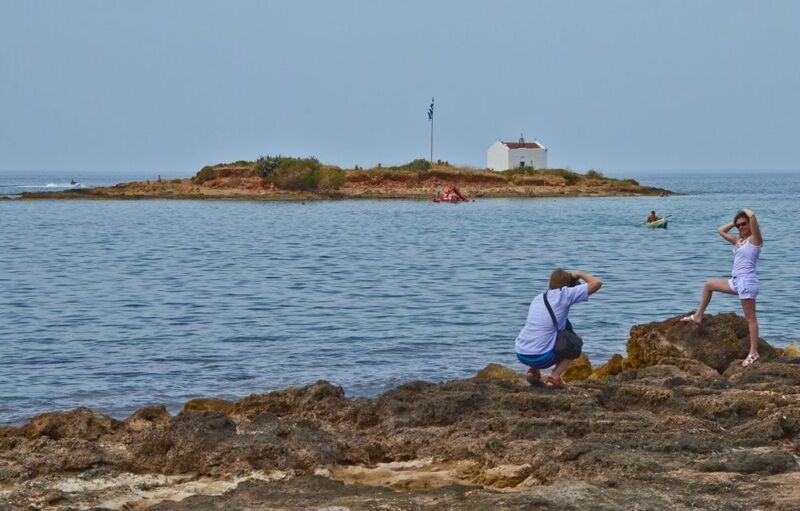 So much so that its mayor, Nikos Zorzos, warned in November that the island’s natural features were being destroyed and called on the government to take immediate measures. Island authorities also decided to put a cap on cruise traffic, setting the limit at 8,000 per day and at the same time, its port authority announced plans earlier this month to charge cruise travelers a one-euro levy as of March 2018 to go towards the upgrade of port and island infrastructure and safety. 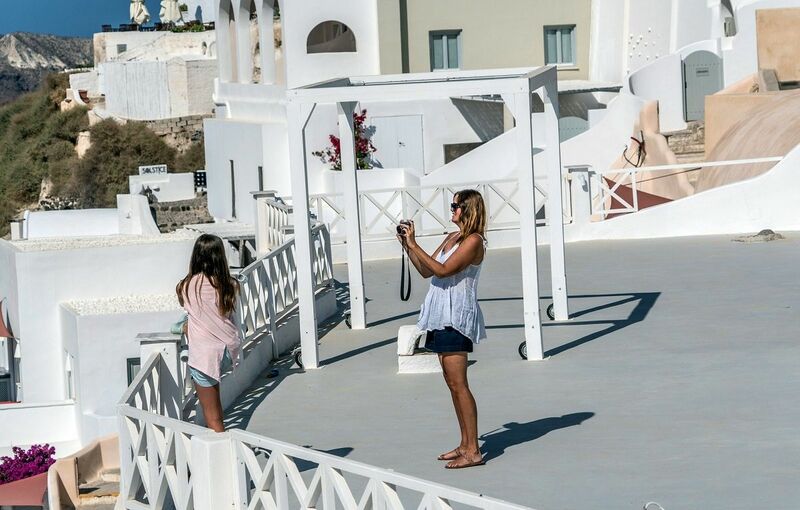 Locals and tourism professionals have repeatedly called on authorities to examine ways to address the overwhelmingly large number of tourists visiting Santorini each year, particularly during peak season between May and October, with some 10,000 roaming the Cycladic island’s paths in a single day. Hotel owners in Malia, northeastern Crete, meanwhile, said recently that they were not accepting some 10,000 bookings from the UK in an effort to repair a tainted reputation due to the thousands of mostly British tourists who flock to island bars and clubs every summer and drink till they drop. The global phenomenon is spurring community action. One photo featured in the The Independent captures a slogan spray-painted in the Old Town of Palma de Mallorca. It reads: “Tourism = Terrorism”. Italy’s Culture and Tourism Minister Dario Franceschini suggested a “new, non-invasive technology that counts people entering … when the number reaches a maximum access is stopped until they flow out”. The sector will soon have to face the challenge as the infrastructure at many small destinations across Europe – airports, ports, road networks, water supply and sewage systems, energy grids – will be unable to meet the demands of the hordes of travelers and inevitably maintain the quality of services.